Register by Friday, May 4, 2018 at midnight to take advantage of this members-only early bird special! Become a member and save $10 on conference registration, or register by Friday, May 4 and pay only $75 ($10 off regular registration). This category is only for those who will attend the evening reception and do not plan to attend the full conference. Refreshments served; cash bar available. Each Award of Merit winner receives one complimentary ticket for the Award of Merit evening reception. Additional tickets may be purchased. Hors d'oeuvres are included in full conference registration. If you wish to bring a group of 6 or more people from one organization, we are happy to offer a discount registration of $50/person. The deadline for this registration is Friday, May 18th. Registration code required. Please contact Laurie Lamarre at director@clho.org for further information. Regular conference registration for members, available from May 5 through May 28, 2018. Regular non-member conference registration fee from May 5 through May 28, 2018. Discounted registration for conference presenters and award winners. Reception Only - Award Winner! We love all students! Please bring your student ID to verify registration. Get ready to debunk some of the issues and challenges of the past – and jump-start your future! With insight from our colleagues, we hope to turn “can’t do,” “won’t work,” “why try” - into “can do,” “will work,” and “let’s go” practices. Award of Merit winners receive one free admission to the evening reception. Additional tickets to the evening reception may be purchased on this registration form. 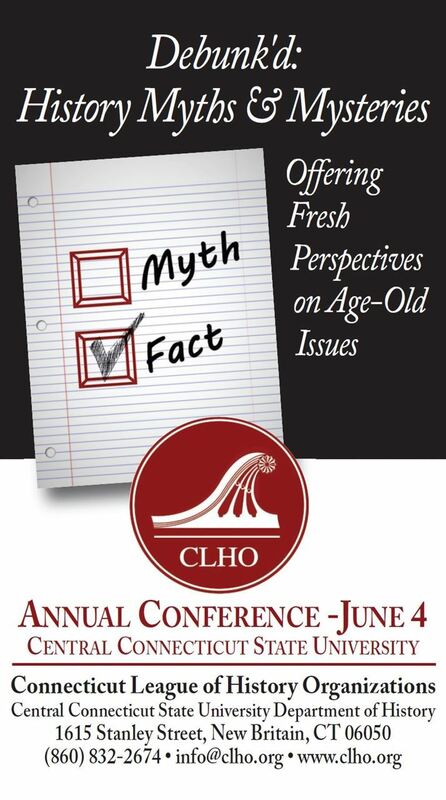 If you are an award winner and would like to attend the full conference at the discounted rate, then please contact Laurie Lamarre at director@clho.org at 860-832-2674 for the registration code.